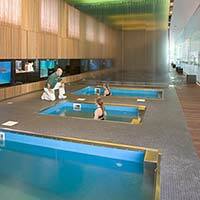 A HydroWorx therapy pool is the ideal vehicle to explore Watsu techniques with your clients. Watsu (Water-Shiatsu) has been growing in popularity among both clinicians and the general public as an effective and enjoyable aquatics program for both injury/illness recovery and general health and wellness. Incorporating Watsu techniques into your treatment with a HydroWorx pool is an excellent way to improve patient outcomes and generate additional revenue for your facility. In recent years, a number of studies supporting the benefits of Watsu pool therapy have been conducted. A 2005 paper by William A. Vogel, published by the Aquatic Exercise Association, found “a substantial improvement in reduction of aches, pains, and emotional stresses enhanced body flexibility and ability to relax” among sixteen older adults who undertook regular 30 minute Watsu pool therapy sessions. For clinicians specializing in chronic pain conditions, research by Kieren Faull found “Watsu therapy provided an effective holistic intervention” for fibromyalgia suffers. Additionally, a wealth of anecdotal evidence suggests the efficacy of Watsu treatment for use with elite athletes, pediatric patients, MS sufferers and more. 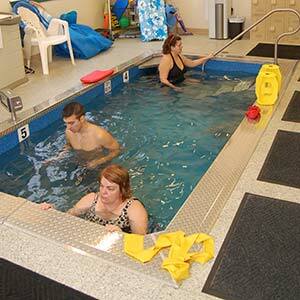 For more information about recent research about the benefits of aquatic therapies, please visit our research page. With the advanced capabilities of a HydroWorx pool, your clients can get the most out of their Watsu sessions and cryotherapy treatment. Rather than simply performing the exercises in standing water, a HydroWorx Watsu pool includes variable speed resistance jets to slowly increase the intensity of the workout, allowing you to push your clients further with a lower perception of effort. After a rigorous exercise, the included deep tissue massage attachment makes an excellent cool down, stripping away lactic acid and reducing muscle soreness. Unlike standard Watsu pools, every HydroWorx model features an underwater treadmill and variable water depth, making it perfect for aging adults or anyone with mobility issues. For a small monthly payment, your clinic can be the next HydroWorx success story. Contact us today to receive a free business plan and interactive ROI calculator. We offer several flexible financing options that allow you to incorporate a Watsu pool into your facility without a large capital investment, and provide 24-hour customer service. HydroWorx products are trusted by major hospitals and PT clinics, professional sports organizations and the US military. If you’re considering incorporating Watsu or another aquatic treatment into your facility, no other company offers the combination of flexibility and features HydroWorx does. Call today to order your free informational DVD, or to arrange an in-person trial at a location near you.